A PhD research proposal is the outline of your project that needs to ask a comprehensible question and explain the way to reply to it, tell about the significance and originality of your research, explain why your research enriches the existing knowledge and persuade the audience that your research is important and you are the right person to write it. To make your research proposal successful, you should keep the following tips in mind. 1. Understand the goal of writing your research proposal. From your research proposal, your potential supervisor, funder or admission tutor will evaluate the originality and quality of your ideas, your proficiency in the area and your critical thinking skills. So it is important for you to give a careful assessment of your research scope, demonstrate your knowledge in the sphere and be ready to tell how you are going to complete it within a given timeframe. Writing a research proposal is your chance to tell what your project might accomplish and persuade the readers that it is vital for them. 2. Make sure your research proposal is not ‘set in stone’. You should let your research proposal evolve along with the progress of your work. When you find new literature sources, consider additional approaches and implement the comments that you have received, refine your proposal. Think of it as of the first outline of your project, not as of something that completely reflects the final result. 3. Structure your research proposal correctly. The following structure has the crucial elements of the proposal, but you should check if anything else is required in your case. Title. It is important for your title to indicate the key questions you are going to address or your approach to the research, instead of just stating the subject. Overview. Tell what your research is about and how it fits the existing knowledge in the sphere. If you want to engage with any debates or influences, be very specific. But do not overdo – just make a sketch of the context where your research fits best. It is also important to link your research to the work of the department you are applying to and tell how it can complement it. To find this out, you can visit their website. It will help you better understand what they will want to hear from you. Remember that your overview has to include 1 to 3 research questions, main approaches you are going to take (they can be theoretical, empirical, conceptual or normative), your rationale and your research significance. Positioning (about 900 words). Tell about the texts that carry the biggest value to your project. Also, show your understanding of the existing problems and demonstrate that you intend to address both theoretical and practical gaps. Keep in mind that in this section you should contextualize your issues, instead of analyzing the current debates. Research design and methodology (about 900 words). Here you need to tell how you are going to structure your research and describe the methods, which you are going to utilize. Include your research parameters, the main approach discussion and rationale, specific objectives of your research and the time you need to complete this. It is critical to develop the methodology section properly, especially if you want to do a large empirical research. Along with the general approach you want to use, it might also be important to add the specific techniques. It might include data collecting methods, resources used, etc, along with the rationale explaining why you want to use each of them. References. In this section, show that you have a good grasp of the related literature. Give references to the resources that might be useful for your analysis. Keep in mind that it is not only the bibliography of your research. It is the critical reflection on the references you want to use. Ensure that you have clearly stated your research issue, made it persuasive and addressed a gap in the existing knowledge. Give much thought to devise your questions as they are extremely important at the early stages of your work. Check that in the department you want to apply to there are staff members who are interested in your research and can supervise it. It is highly advised to contact them in advance, ask for the comments and then provide them with a refined research proposal. Structure your research proposal properly. If you fail to do this, the potential supervisor might think that the project might have a bad structure as well and refuse from taking you on board. Make sure that you have made a reasonable scope of your research and keep in mind that its size and complexity can be limited. It is not only the significance and ambition of your research that matters; it is also your ability to complete it within a given timeframe. Show your passion to your research subject shine throughout your proposal. Sometimes being passionate about what you are doing is more important than your expertise, because it keeps you engaged and motivated. 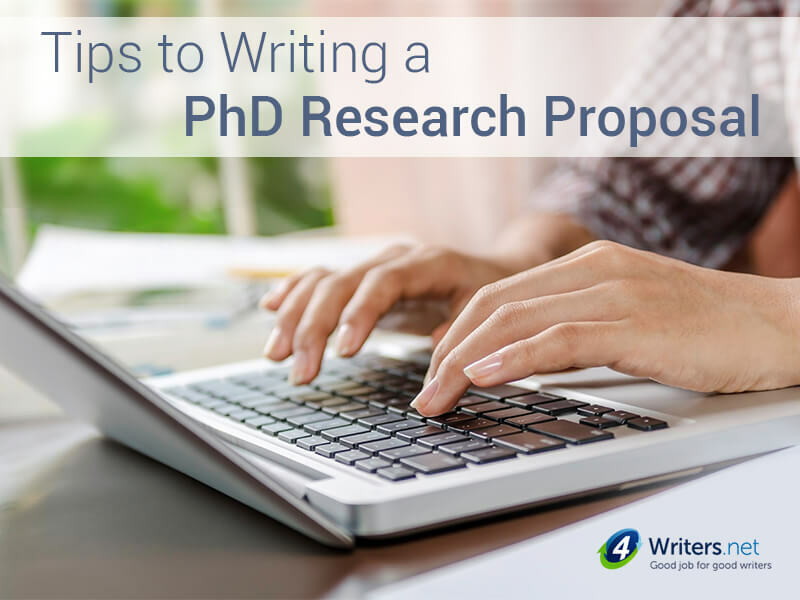 Now you should be ready to write a perfect PhD research proposal!